Enjoy expert care in a beautiful, modern community. At Whetstone Rehabilitation Center, Skilled Nursing & Assisted Living, we offer post-hospital rehabilitation and nursing care, outpatient rehabilitation, specialized cardiac care, long-term care, assisted living, hospice and respite care. Located off Route 315 on Olentangy River Road across from Riverside Hospital, we serve Clintonville, Upper Arlington, Worthington and the greater Columbus area. We believe that care should be tailored to the individual—no two people are the same, so why should their care plans be the same? We take the time to get to know you, whether you’re here for a few weeks for rehab or decide to reside here in assisted living or long-term care. You’ll get to know our excellent, knowledgeable staff on a first-name basis and have everything you need to live a healthy, fulfilling life. Learn how we can help you reach your health goals by contacting us or scheduling a tour today. Our Columbus rehab center offers the therapy services you need to get back on your feet after a hospital stay or health setback. We offer both inpatient and outpatient rehabilitation, and physical, occupational and speech therapy. At Whetstone, we’ll work with you to create a personalized care plan with the right mix of therapy types to shorten your road to recovery. Our staff is highly trained and knowledgeable, and will be with you every step of the way to help you meet your goals. A variety of accommodations are available in our rehab and nursing center, including furnished private and semi-private rooms. All are equipped with half baths, basic cable services and Wi-Fi. If you or your loved one is looking to combine the security of care with the comforts of home, welcome home to Whetstone Assisted Living! Striking the perfect balance of independence and assistance, we offer help with daily living activities like bathing, dressing, grooming and medication management as you enjoy the privacy of your own suite. Whetstone features 60 spacious, private, one-bedroom assisted living suites that feature separate living, sleeping and kitchenette areas, individually controlled heating and air conditioning, emergency call system, full private bath and walk-in closet. We encourage you to personalize your suite with your own furnishings. Make yourself at home! Get to know the community by scheduling a visit today. We look forward to showing you around. When your loved one can no longer live safely at home, long-term care can provide the necessary support and services. Long-term residents at Whetstone receive the help they need with activities of daily living in a comfortable, friendly environment staffed by respectful, compassionate health professionals who treat your loved one like their own. While living at Whetstone, your loved one will also have access to services and amenities designed to improve their overall health and wellness. Our care is patient-directed, meaning both you and your loved one will always have a say in their care plan. At Whetstone, taste is just as important as healthiness when it comes to our food. Our dining services manager works closely with registered and licensed dieticians to provide nutritious meals and personalized therapeutic diets, but that’s not the only thing that affects the menu—far from it. More than anything, our goal is to provide delicious food that gives you the options you want. That’s why we offer seasonal, bistro and heart health bistro menus, as well as numerous side dishes, ethnic favorites, homemade soups and desserts. We also have flexible dining options—you can eat in one of our dignified dining rooms or enjoy room service, snacks, open pantries, guest meals and coffee service. At Whetstone, it’s easy to find something to do that you’ll enjoy. Our activities calendar is always filled with both fun and educational events, giving you plenty of opportunities to socialize, learn new things and stay active. We also offer convenient amenities and hospitality services to help the community feel more like home. Our staff is always on hand to make your stay as pleasant as possible. We hold ourselves to the high standards that our rehab guests and residents have come to expect. We’re also evaluated by the Ohio Department of Health and the Centers for Medicare & Medicaid Services, which measure quality through annual surveys and ratings. What Are Realistic Expectations for Rehab? What can you expect during your rehab stay? Find out here! Not all assisted living communities are created equally. Some offer only assisted living while others offer a full continuum of care. If you or a senior you love just finished cardiac rehab, it’s important to maintain the healthy habits you learned. These tips make it easier. For more than 40 years Whetstone has been the area’s expert in nursing and rehabilitative care. Our clinical team has the ability to care for a diverse range of patient needs and our commitment to providing quality, person-centered care is unmatched. The close proximity of Whetstone to several major hospitals in central Ohio makes us an ideal place to complete rehab and recovery. 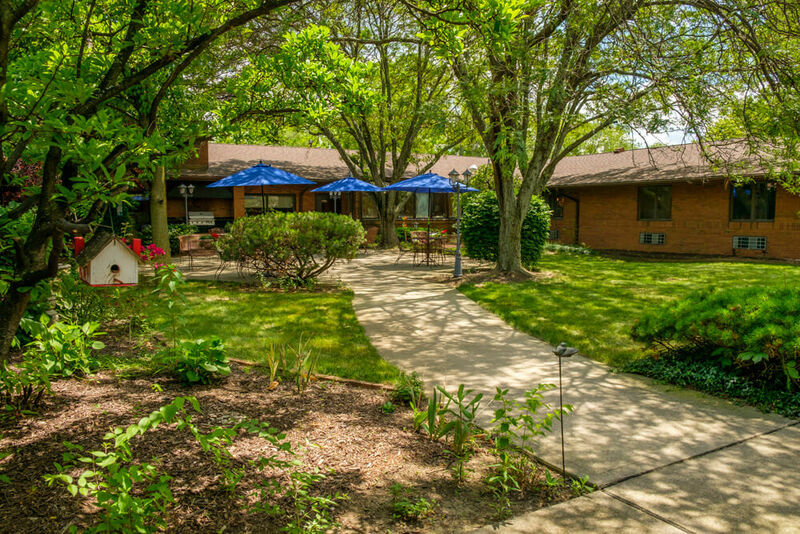 We’re one of seven care communities that make up The MacIntosh Company, a locally owned and operated Columbus senior living and care company. Learn more about the MacIntosh Difference and what it can mean for you or your loved one today.